She is likely the birth registered in Birmingham, England in early 1864 as Anna Maria Overton to father William James Overton. In the 1871 English Census, she is listed as Anna Maria Overton, age 7, in the household of William James and Ann Overton in Birmingham, Warwickshire, England. She names one of her children William James Fisher. According to this compiler's grandmother, Florence Wiltbank, she was raised in England and came to this country. Her Wilmington (DE) newspaper obituary (date unknown, probably 1952) states she came here when she was 18 years old and that she lived first in Chestertown, MD (likely where she met Samuel Fisher, her husband) then moved to Wilmington where she resided most of her life. She was 88 when she died. 1910 Census states she came to America in 1874 but 1920 and 1930 censuses claim the year as 1884 and 1883, respectively (the latter two would better fit with the obituary statement saying she came when she was age 18, and the 1910 census taker probably meant 1884 instead of 1874). She is probably the Annie Overton who came to Baltimore from England on the Ship "Hanoverian" that arrived there on May 9 1884. That record indicates that she came with Rose Overton, age 21. We know that Annie had a sister named Rosanna. 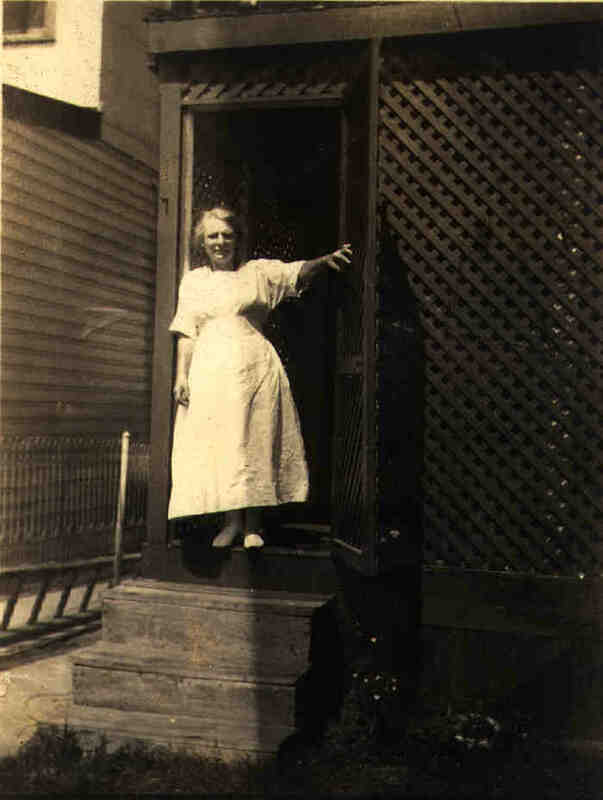 Her death certificate indicates she died on Apr 6 1952 at 930 East 17th Street in Wilmington. Her father was William "Oneston" (sic, Overton - typographical error) and her mother's maiden name was Gee and that she was born in England. 3 1930 DE Census, Listed as age 67 in the 1930 Dist. 2, New Castle Co., DE Census. 4 1920 DE Census, Listed as Annie Fisher, age 56, in Wilmington Ward 9, New Castle Co., DE, born in England and naturalized in 1884. 5 1900 DE Census, Listed as Annie Fisher, born Dec 1863, in Wilmington Hundred, New Castle Co., DE, born in England (both parents born in England). 6 1910 DE Census, Listed as Ammie M. Fisher, 46, in Wilmington Ward 9, New Castle Co., DE, born in England. 7 1871 England Census, She is listed as Anna Maria Overton, age 7, in the household of William James and Ann Overton in Birmingham, Warwickshire, England. 9 1850 MD Census, Listed as age 10/12 in the 1850 Queen Annes Co., MD Census. 10 1920 DE Census, Listed as Samuel Fisher, age 70, in Wilmington Ward 9, New Castle Co., DE, born in MD. 11 1870 MD Census, Listed as Samuel Fisher, age 21, in 1870 Kent Co., MD Census. 12 1900 DE Census, Listed as Samuel Fisher, born Oct 1850, in Wilmington Hundred, New Castle Co., DE, born in MD. 13 1910 DE Census, Listed as Samuel Fisher, 60, in Wilmington Ward 9, New Castle Co., DE, born in MD. 14 1860 MD Census, Listed as age 12 in Queen Annes Co., MD. 15 1880 MD Census, Listed as age 30 in Chestertown, Kent Co.
16 Wilmington Newspaper obituary for Mrs. Annie M. Fisher (date unknown). Paper and date unknown - it is a cutting found in the effects of Florence Elliott Wiltbank Smith.